Hoera!! Dansateliers - One Night's Dance is geslaagd! Dankzij 44 donaties die samen € 2.750 opleverden voor Dansateliers. 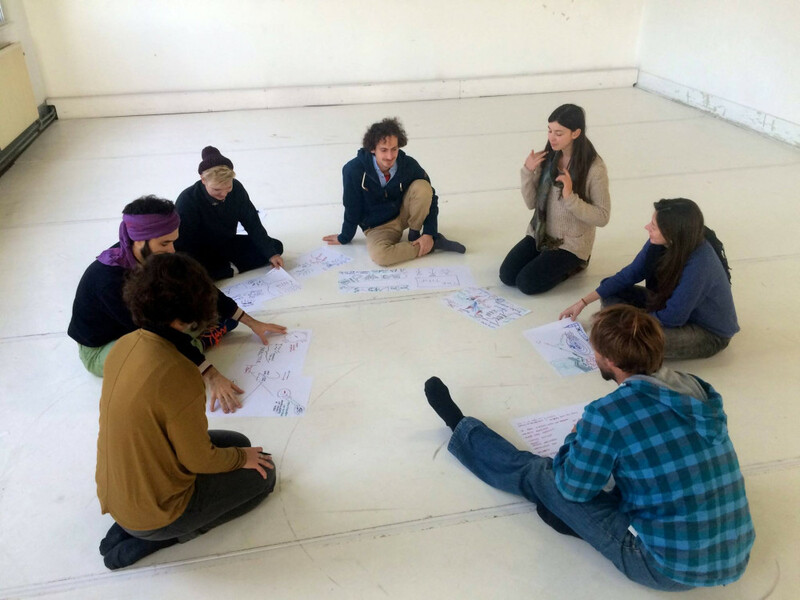 One Night's Dance 2015: project for early career makers: 6 makers, 5 concepts, 5 unexpected new works! Support six dancemakers for One Night's Dance! One Night’s Dance is Dansateliers’ project for early career dancemakers. In November and December five selected makers have the chance to develop their own artistic signature and create a short work that will be shared with an audience in December. The makers are offered studio time, coaching, workshops, exchange and shared feedback sessions in the professional surroundings of Dansateliers. Who are the One Night's Dance makers? How can you support these makers? Dansateliers offers the makers studio-time, professional guidance, workshops, presentation space and exposure. You can help the makers with a small production-budget. Your contribution goes directly to the makers! They can spend the budget on cast, set or sound to fully give form to their ideas. Where can you see the result? You can see the results during the One Night’s Dance presentations on 4, 5, 6 and 11, 12, 13 December in Dansateliers. Franziska Menge (1987) graduated in 2015 at the dance teachers department of the Amsterdamse Hogeschool voor de Kunsten. During One Night’s Dance she will work with basic movement principles like walking, running, turning, rolling, jumping and falling… and will try to create a work that -through its simplicity - will open up the associative world of the spectator. Manel Salas Palau ( 1980) has been working as a freelance performer on an international scale. After 10 years of performing and contributing in different creations Manel feels the desire to give full room to the articulation of his own choreographic language. During One Night’s Dance 2015 he dives into the secrets of his own improvisations to create an artwork that speaks to the audience. Joseph Simon (1989) graduated from Artez School of Dance in Arnhem in 2014. His wide interest led him to explore practices as gymnastics, tricking as well as some basic modern-jazz and ballet. During One Night’s Dance he focusses on the liminal space between a plié and a bounce and creates a movement excursion through the groove of house dance and music and the mathematics of ballet; purely, a dance routine with a very specific dance language. Maria Peralta (1986) studied Choreography at the School for New Dance Development (SNDO) in Amsterdam where she graduated in 2014. During One Night’s Dance she will focus on mastering the art of juggling and create a piece based around the basic patterns and techniques of juggling using three scarves. With her work she will engage with the audience in an almost hypnotic way. Support these makers now and see the results of their trajectory during the One Night’s Dance presentations on 4, 5, 6 and 11, 12 and 13 December in Dansateliers, Rotterdam. Thank you! And hope to see you for One Night's Dance! In the mean while we reached the 100%! Thanks to the contributions of the crowd: friends, family, colleagues and others the makers of One Night’s Dance have started the production of a new short work with a production budget! Franziska Menge, Manel Salas Palau, Joseph Simon, Maria Peralta and João Dinis Pinho & Julia Barrios de la Mora (duo) started working at the beginning of November. During the process they speak about dance, about inspiration sources, references, about their concepts and how to proceed with that concept and create new work that is presented on Dec 4,5, 11 and 12 at 20:30h and Dec 6 and 13 at 17:00h in Dansateliers, Rotterdam. María Peralta (1986, Venezuela) studied Contemporary Dance (BA) at the National University of Arts, Caracas, Venezuela. In 2010 Peralta moved to Amsterdam where she finished her choreography studies at the School for New Dance Development (SNDO), Amsterdamse Hogeschool voor de Kunsten. During her studies she created a.o. Countdown(2012), Permutations (2013) and the graduation piece HIP HOP (2014) which was selected for the International Theater School festival (ITs festival). During One Night’s Dance 2015 Maria focusses on mastering the art of juggling to form a piece based around the basic patterns and techniques using three scarves. With her work she will engage with the audience in an almost hypnotic way. Manel Salas Palau (Spain, 1980) is a dancer, teacher and choreographer who has been working as a freelancer on an international scale. He graduated from CodartsDance academy in Rotterdam in 2004 and worked with a.o. Color Company, MartaReig Toreers, Cie Prototype Status, Vloeistof, Arno Schuitemaker, JensBidermann and David Zambrano. As a maker/improvisator he was involved in the creation of a.o. The Ox, el Toro (2014), KOMPLITZEN (2015) and YELLOW ZURICH (2015) forZürich Tantz Festival. During One Night’s Dance 2015 he now get's the time to solely focus on his own choreographic language, diving into the secrets of his own improvisations. João Dinis Pinho ( Portugal, 1994) and Julia Barrios de la Mora (Mexico, 1991) both moved to the Netherlands at a young age. The two are currently finishing their Bachelor of Dancing/Maker at ArtEZ Hogeschool voor de Kunsten in Arnhem. During their first collaboration, they created Diluting (2015) a dilution of cultures through the exploration/exploitation oftraditional folk dance. For One Night’s Dance they are taking this back to a personal level, asking: What does it mean to carry a culture with you? Where does it place you? Where do you place it? Julia Barrios de la Mora (Mexico, 1991) creates work that researches the individual and community identity, integrating her background in architecture and her interest for philosophy and anthropology. João Dinis Pinho ( Portugal, 1994) is hybridly shifting roles between performer, choreographer and researcher. 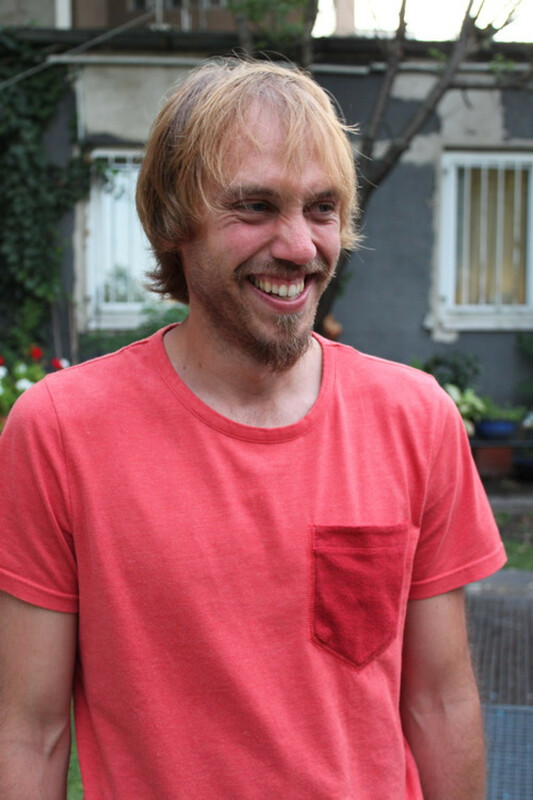 Besides having a big interest in sound design, video in dance, dance in video and history, he currently researches the connections between dance and aviation/flight. Meet Franziska Menge! Franziska got her bachelor’s degree in theatre studies and art history at the Freie Universität in Berlin in 2011 and graduated at the dance teachers department of the Amsterdamse Hogeschool voor de Kunsten in 2015. As a maker she works together with dancers, actors, amateurs and professionals from different backgrounds. During One Night’s Dance she will be working with performers Bess Kuil, Pauline Briguet and Paulina Vogel next to light- and videodesigner Hendrik Walther and sound designer Bauke Moerman. For One Night’s Dance 2015 Joseph Simon has found his dancers. He will be working with Maddy Bullard, Viviana Fabiano and Lucia Fernandez, three strong young dancers. In the creation Joseph will take his dancers and the audience on a movement excursion through the groove of house-dance and -music and the mathematics of ballet. At the moment he looks for funky, groovy and strange “first positions” and finds inspiration in documentaries about house music, like ‘Maestro: The History of House Music& NYC Club Culture’ and dancestyles like the South African “Pantsula”. 36%! A big smile on our faces! The crowdfunding campaign has been online for 13 days and we are already at a fantastic 36%. Different supporters from around the globe found their way to voordekunst. Family, friends, colleagues, fellow students of the makers and dancemakers involved with the organization! All with one goal: to support these young makers in the development of their own artistic signature. Check out what One Night's Dance meant for previous makers in this trailer. omdat ik hou van Franziska ! project with a lot of impact Thanks for organizing this! In this project it's all about the makers. I like to support them with a bit extra. I look forward to see what they are going to do with it. Because these young artists need support and time to develop themselves! Dansateliers is a great house. One night's dance is a fantastic initiatives. I want to support both Dansateliers and the artists. Pour soutenir mon neveu Joseph! This is a very appealing way to present the future of dance! Because this project actually changed my life. A big cheers to that! We offer you a free ticket to one of the shows and a glass of champagne to raise with the makers after the presentations! Many thanks! A big smile on our faces! Cheers to that! We offer you a glass of champagne and invite you to raise a glass with the makers after the presentations! A big round of applause! We offer you a free ticket to one of the shows a glass of champagne after and a DVD with the creations of One Night's Dance 2015. A standing ovation! We offer you two tickets to one of the shows two glasses of champagne after and a DVD with the creations of One Night's Dance 2015.